SW Florida, Lee and Charlotte Counties, covers the gambit of year-round outdoor recreation...boating, fishing, golf, pristine beaches to name a few. However, there is also an agricultural community within Punta Gorda...acreage of fruit trees, palms and livestock ranches...1/2 million herd of cattle. Port Charlotte has more than 165 miles of man-made waterways, many with access to Charlotte Harbor and the Gulf. 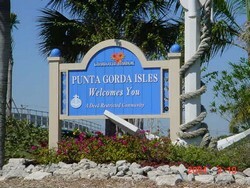 Both Punta Gorda & Port Charlotte border the Peace River. Popular Cape Coral and Fort Myers border the Caloosahatchie River, which is quickly accessed from the many canalfront properties with direct access to the Intercoastal Waterway. There's plenty of single family homes, condos, and upscale gated communities. Outdoor activies are abundant. Waterfront community with vacant lots, condos and single family homes overlooking canals which have access to Intercoastal Waterway. This is a premiere, deed restricted, community with water and sewer; all homes have barrel tile roofs and are very well maintained. Waterfront condos start in the $200K range and homes at $400K up. A popular destination point with many waterfront communities, some with direct access to the Intercoastal Waterway. In addition, the Fort Myers area offers non-waterfront properties, manufactured homes and ample condos as well as business opportunities. 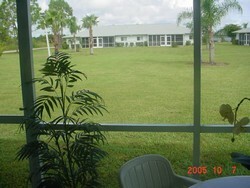 East of Fort Myers in the country, Lehigh Acres has newer, very affordable homes. Many new developments in the area, no saltwater access. 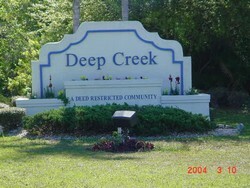 Deep Creek is a subdivision in Port Charlotte, conveniently located within 2 miles off I-75 at exit 170. This deed restricted community has a public golf course, vacant lots and homes totaling over 6,000 parcels, as well as condominiums starting in the $110's. This popular area is very well maintained and has sewer and water. 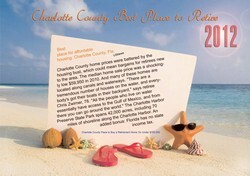 Port Charlotte was created and developed in the late '50's and the current population is nearly 140,000 residents. Conveniently located between Fort Myers and Sarasota, residents enjoy a regional shopping mall, public golf courses and tennis courts, parks, boating facilities, and pool, beach swimming at the popular Port Charlotte Beach Complex. Public boat ramps are plentiful which reach go out to 165 miles of man-made waterways, many with access to Charlotte Harbor and the Gulf of Mexico. 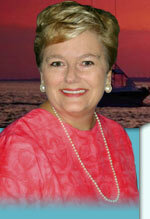 There are miles of natural shoreline bordering Charlotte Harbor and the Peace and Myakka River. In spite of the growth explosion in recent years, residential areas are primarily single-family neighborhoods, uncomplicated by high-density high rise structures. North Port is the smallest city in Florida with 23,000 population. Located in Sarasota county, North Port offers affordable housing and high-end communities of Sabal Trace, Duck Key and North Port Estates, where lots up to 5 acres zoned agriculture can be found. Private, semi-private and public golfcourses are in great abundance. There's 144 miles of waterways, many freshwater, and others leading out to the Myakka River to Charlotte Harbor and the Intracoastal Waterway. Bike paths are plentiful and North Port has an ongoing beautification plan, with Tree City USA designation. Located in Hendry county east of Fort Myers and Lehigh Acres, this is a rural community.